Congratulations go to Andy and Hayley for this months winning car, the fabulous EvoGT! Without further ado I'll let you all enjoy the amazing EVOGT and let Andy tell you about Hayley and himself. 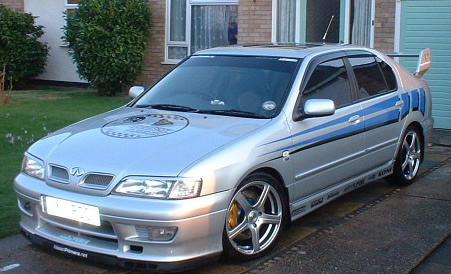 "Hi people, my name is Andy Batchelor and this is mine and my wife's (Hayley) P11 Primera GT. I'm 34 years old and Hayley is 32. We have two lovely children, Sophie and Jes. I work as a pipe fitter, mainly in London for a housing association. Hayley works as a part time receptionist in Slough . 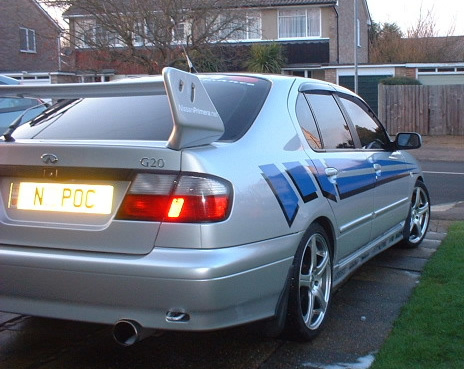 We call the car EVOGT as it is an on going evolution of our Primera. This is our second Primera. We used to have a P10 eGT which was 209 BHP. 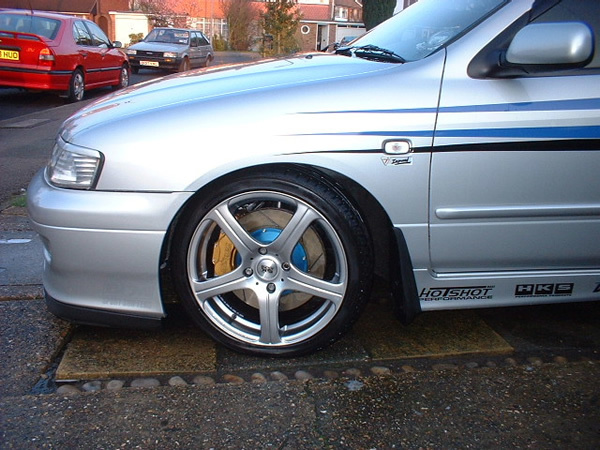 Our third Primera is a P10 1.6 SRi which Hayley uses as daily transport." How long have you had Evo and did you always plan to mod her? 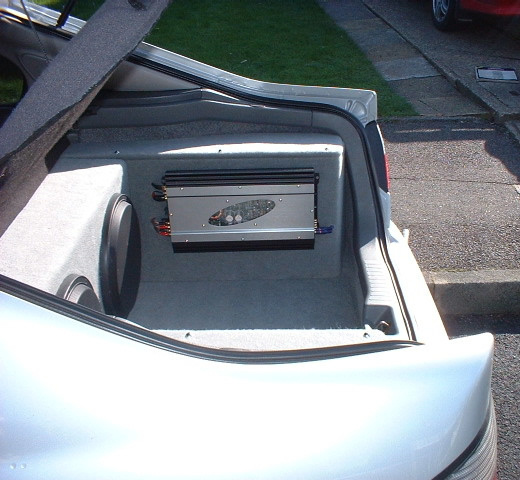 "We have had the car two years this month. We had no intention on modding this one like we did our P10 eGT. 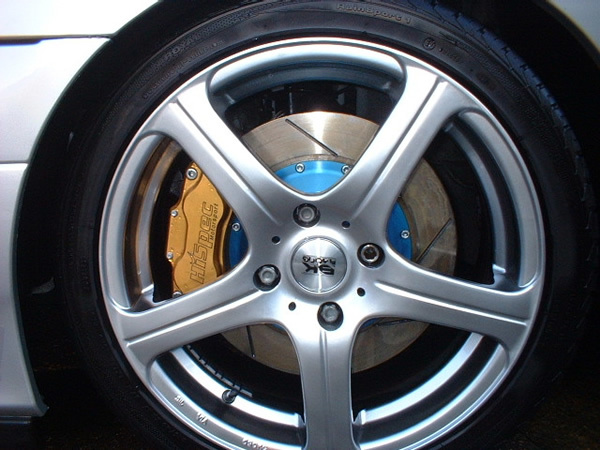 It all started off with a set of 17" alloys, then springs followed, then the rear wing and it went on and on from there." 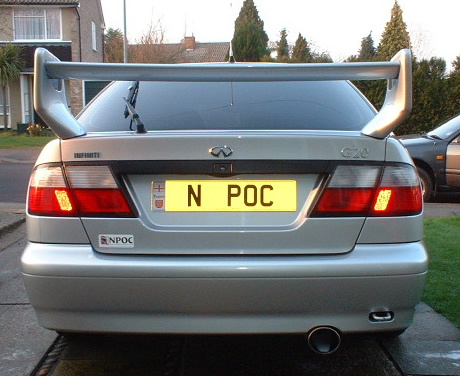 How long have you been a member of NPOC? 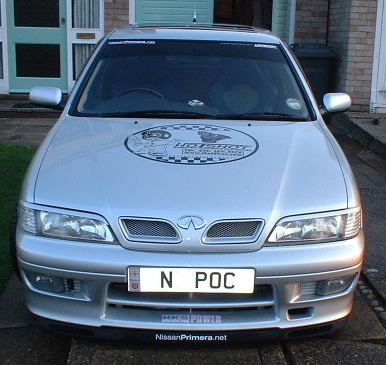 "I have been a member of the NPOC since day one, as I had already become friends with the guy that started the NPOC Kev F (PrimeraRacer) over on the G20 site in the U.S.A. This was along with Kev S (P11GT) and Gurpal (RAGT20). The other interest I have are motorbikes and motorsport, but it's mainly modding cars that I'm really into, as I have been doing it for a few years now. 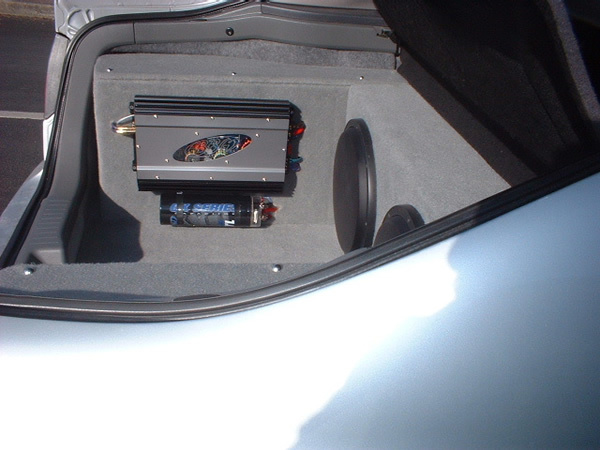 The first car I really started modding was a Renualt 19 16V which was 160 BHP, but I had nothing but trouble with it." 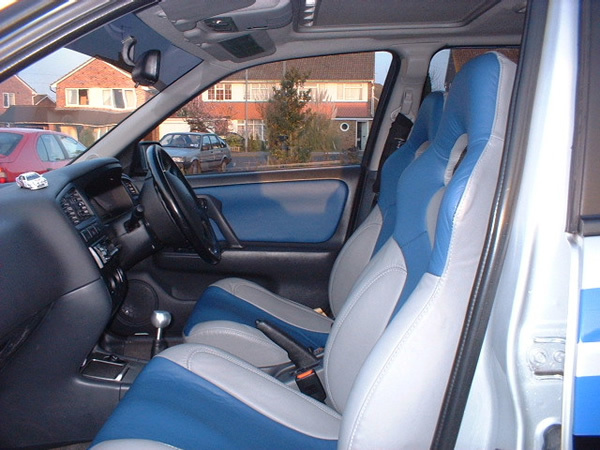 "I sold the Renault 19 in 1998 and that is when I bought our first Primera which was the P10 eGT. I did not intentionally set out to buy the P10, it was just the right car at the right time as it was cheap at £6000 for a 3 year old car. I have been hooked on Primera's ever since." Give us the spec Andy! "OK, enough about us here is the spec for EVOGT. Any changes to Audio inside Evo? "Well thats about it, I hope you like our creation."